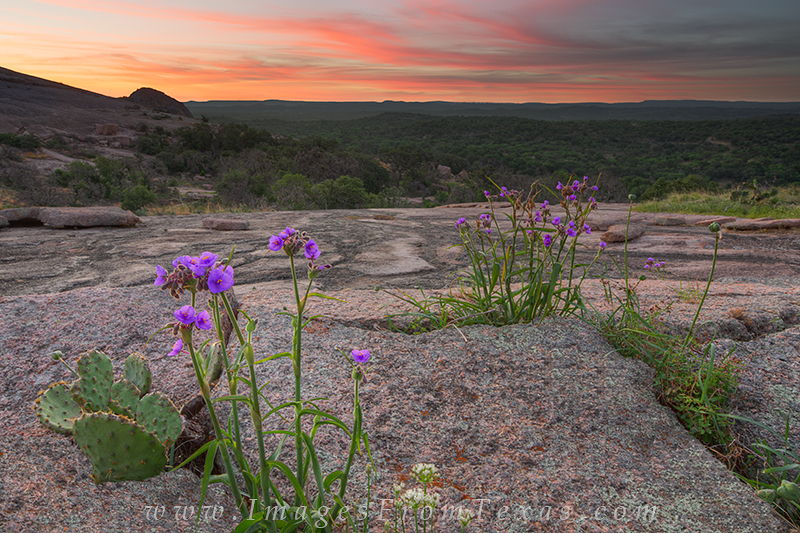 A few minutes before sunrise, the air was calm at Enchanted Rock State Park in the Texas Hill Country. The sky turned to glorious reds and oranges and it seemed like you could see all the way to the coast! Photo © copyright by Rob Greebon.